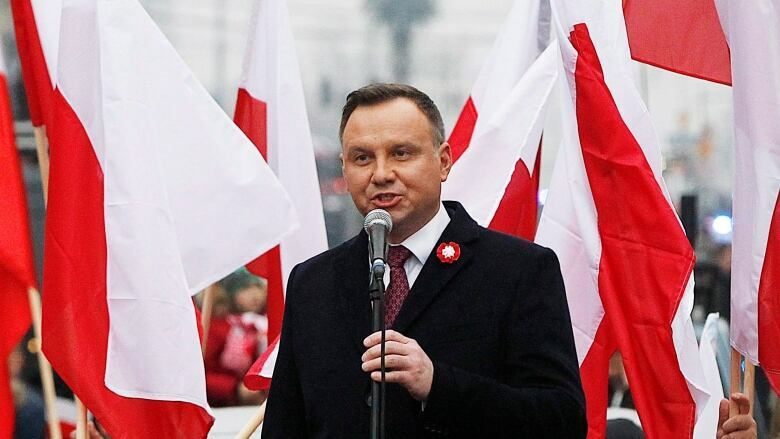 Poland's president signed legislation Monday that reinstates Supreme Court judges who were forced into early retirement, backtracking on a series of removals the European Union condemned as a violation of democratic standards. 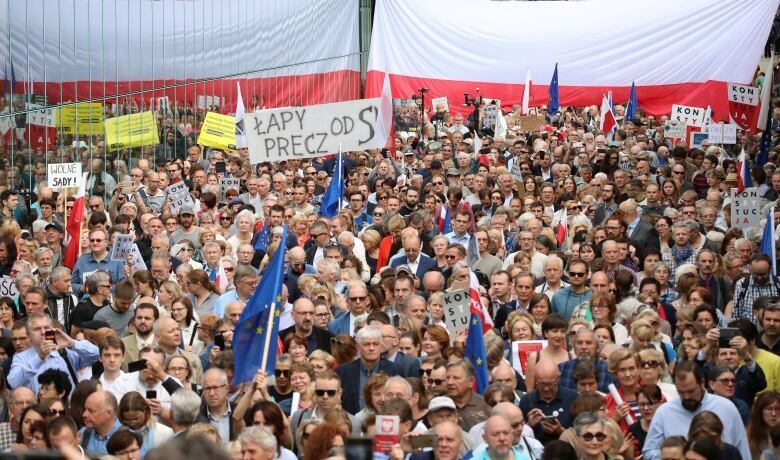 Monday's ruling confirmed the Court of Justice's interim judgment from October ordering Poland to reinstate justices who were forced to step down when the retirement age was lowered from 70 to 65. The European Commission, which enforces EU law in member countries, had asked the court to review Poland's law. Law and Justice came out of local elections this fall bruised in major cities, where many voters rejected the party's previous euroskeptic course. The EU is extremely popular among Poles, who have grown richer and gained unprecedented freedom to travel and to work abroad thanks to their country's EU membership. The party has given signs it is embracing a comparatively moderate, EU-friendly program as it gears up for elections to the EU's European Parliament in the spring and to the national parliament in the fall.